This article is about the city in Austria. For the state it is capital of, see Salzburg (state). For other uses, see Salzburg (disambiguation). Not to be confused with Sulzburg. listen); Austro-Bavarian: Såizburg; literally: "Salt Fortress") is the fourth-largest city in Austria and the capital of the federal state of Salzburg. Salzburg's "Old Town" (Altstadt) has internationally renowned baroque architecture and one of the best-preserved city centres north of the Alps. It was listed as a UNESCO World Heritage Site in 1997. Host to three universities and a large population of students, Salzburg is is noted for its attractive setting and scenic Alpine backdrop. Salzburg was the birthplace of 18th-century composer Wolfgang Amadeus Mozart. In the mid‑20th century, the city was the setting for parts of the musical and film The Sound of Music. Salzburg is on the banks of the Salzach River, at the northern boundary of the Alps. The mountains to Salzburg's south contrast with the rolling plains to the north. The closest alpine peak, the 1,972‑metre-high Untersberg, is less than 16 kilometres from the city centre. The Altstadt, or "old town", is dominated by its baroque towers and churches and the massive Festung Hohensalzburg. This area is surrounded by two smaller mountains, the Mönchsberg and Kapuzinerberg, which offer green relief within the city. Salzburg is approximately 150 km east of Munich, 281 km northwest of Ljubljana, Slovenia, and 300 km west of Vienna. Salzburg is part of the temperate zone. The Köppen climate classification specifies the climate as oceanic (Cfb). Due to the location at the northern rim of the Alps, the amount of precipitation is comparatively high, mainly in the summer months. The specific drizzle is called Schnürlregen in the local dialect. In winter and spring, pronounced foehn winds regularly occur. Salzburg's official population significantly increased in 1935 when the city absorbed adjacent municipalities. After World War II, numerous refugees found a new home in the city. New residential space was created for American soldiers of the postwar occupation, and could be used for refugees when they left. Around 1950, Salzburg passed the mark of 100,000 citizens, and in 2006, it reached the mark of 150,000 citizens. In the agglomeration, about 210,000 are residing as of 2007. Traces of human settlements have been found in the area dating to the Neolithic Age. The first settlements at Salzburg were apparently begun by the Celts around the 5th century BC. Around 15 BC the separate settlements were merged into one city by the Roman Empire. At this time the city was called Juvavum and was awarded the status of a Roman municipium in 45 AD. Juvavum developed into an important town of the Roman province of Noricum. After the collapse of the Norican frontier, Juvavum declined so sharply that by the late 7th century it had become a "near ruin". The name Salzburg means "Salt Castle". It derives its name from the barges carrying salt on the Salzach River, which were subject to a toll in the 8th century, as was customary for many communities and cities on European rivers. The Festung Hohensalzburg, the city's fortress, was built in 1077 and expanded during the following centuries. Independence from Bavaria was secured in the late 14th century. Salzburg was the seat of the Archbishopric of Salzburg, a prince-bishopric of the Holy Roman Empire. The story of their plight spread quickly as their columns marched north. Goethe wrote the poem "Hermann and Dorothea", which, though depicting disruptions caused in the aftermath of the French Revolution, was prompted by the story of the Salzburg exiles' march. Finally, in 1732 King Frederick William I of Prussia accepted 12,000 Salzburger Protestant emigrants, who settled in areas of East Prussia that had been devastated by the plague twenty years before. Other smaller groups made their way to Debrecen and the Banat regions of the Kingdom of Hungary, to what is now Hungary and Serbia; the Kingdom of Hungary recruited Germans to repopulate areas along the Danube River decimated by the plague and the Ottoman invasion. The Salzburgers also migrated to Protestant areas near Berlin and Hanover in Germany; and to the Netherlands. The ethnic German refugees went to western Europe, the United States and other western nations. Those who settled in West Germany founded a community association to preserve their historic identity as Salzburgers. In 1772-1803, under archbishop Hieronymus Graf von Colloredo, Salzburg was a centre of late Illuminism. In 1803, the archbishopric was secularised by Emperor Napoleon and handed over to Ferdinand III of Tuscany, former Grand Duke of Tuscany, as the Electorate of Salzburg. At the Congress of Vienna in 1815, it was definitively returned to Austria, but without Rupertigau and Berchtesgaden, which remained with Bavaria. Salzburg was integrated into the Salzach province and Salzburgerland was ruled from Linz. In 1850, Salzburg's status was once more restored as the capital of the Duchy of Salzburg, a crownland of the Austrian Empire. The city became part of Austria-Hungary in 1866 as the capital of a crownland into the Austrian Empire. 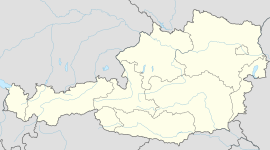 Following the World War I and the dissolution of the Austro-Hungarian Empire, Salzburg, as the capital of one of the Austro-Hungarian territories, became part of the new German Austria, which represented the residual German-speaking territories of the Austrian heartlands, in 1918. This was replaced by the First Austrian Republic in 1919, after the Treaty of Versailles. During the Anschluss, Austria, including Salzburg, was annexed to the German Third Reich on 12 March 1938, one day before a scheduled referendum about Austria's independence. German troops were moved to the city. Political opponents, Jewish citizens and other minorities were subsequently arrested and deported. The synagogue was destroyed and several POW camps for prisoners from the Soviet Union and other nations were organized in the area. During World War II, the Salzburg-Maxglan concentration camp was located here. It was a Roma camp and provided slave labour to local industry. Allied bombing destroyed 7,600 houses and killed 550 inhabitants. A total of 15 strikes destroyed 46 percent of the city's buildings especially around Salzburg train station. Although the town's bridges and the dome of the cathedral were demolished, much of its Baroque architecture remained intact. As a result, it is one of the few remaining examples of a town of its style. American troops entered Salzburg on 5 May 1945. In the city of Salzburg, there were several DP Camps following World War II. Among these were Riedenburg, Camp Herzl (Franz-Josefs-Kaserne), Camp Mülln, Bet Bialik, Bet Trumpeldor, and New Palestine. Salzburg was the centre of the American-occupied area in Austria. After World War II, Salzburg became the capital city of the State of Salzburg (Land Salzburg). On 27 January 2006, the 250th anniversary of the birth of Wolfgang Mozart, all 35 churches of Salzburg rang their bells a little after 8:00 p.m. (local time) to celebrate the occasion. Major celebrations took place throughout the year. The Romanesque and Gothic churches, the monasteries and the early carcass houses dominated the medieval city for a long time. The Cathedral of Archbishop Conrad of Wittelsbach was the largest basilica in the north of the Alps. The choir of the Franciscan Church Hall, construction began by Hans von Burghausen and completed by Stephan Krumenauer, was one of the most prestigious religious gothic constructions of southern Germany. At the end of the Gothic era the collegiate church “Nonnberg”, Margaret Chapel in St. Peter's Cemetery, the St. George's Chapel and the stately halls of the “Hoher Stock” in the Hohensalzburg Castle were constructed. Inspired by Vincenzo Scamozzi, Prince Archbishop Wolf Dietrich von Raitenau began transforming a medieval town to the architectural ideals of the late Renaissance. Plans for a massive cathedral by Scamozzi failed to materialize upon the fall of the archbishop. A second cathedral planned by Santino Solari rose as the first early Baroque church in Salzburg. It served as an example for many other churches in Southern Germany and Austria. Markus Sittikus and Paris von Lodron continued the rebuilding of the city with major projects such as Hellbrunn Palace, the prince archbishop's residence, the university buildings, fortifications, and many other buildings. Giovanni Antonio Daria managed by order of Prince Archbishop Guido von Thun the construction of the residential well. Giovanni Gaspare Zuccalli, by order of the same archbishop, created the Erhard and the Kajetan church in the south of the town. The redesign of the city was completed with buildings designed by Johann Bernhard Fischer von Erlach, donated by Prince Archbishop Johann Ernst von Thun. After the era of Ernst von Thun the expansion of the city came to a halt, which is the reason why there are no churches built in the rococo style. Sigismund von Schrattenbach continued with the construction of “Sigmundstor” and the statue of holy Maria on the cathedral square. With the fall and division of the former “Fürsterzbistums Salzburg” (Archbishopric) to Upper Austria, Bavaria (Rupertigau) and Tyrol (Zillertal Matrei) began a long period of urban stagnancy. This era didn't end before the period of promoterism (Gründerzeit) brought new life into urban development. The builder dynasty Jakob Ceconi and Carl Freiherr von Schwarz filled major positions in shaping the city in this era. Buildings of classical modernism and in particular the post-war modernism are frequently encountered in Salzburg. Examples are the Zahnwurzen house (a house in the Linzergasse 22 in the right center of the old town), the “Lepi” (a public baths in Leopoldskron) (built 1964) and the original 1957 constructed congress center of Salzburg, which got replaced by a new building in 2001. An important and famous example of architecture of this era is the 1960 opened Großes Festspielhaus by Clemens Holzmeister. Salzburg has twenty-four urban districts and three extra-urban populations. The composer Wolfgang Amadeus Mozart was born and raised in Salzburg and worked for the archbishops from 1769 to 1781. His house of birth and residence are tourist attractions. His family is buried in a small church graveyard in the old town, and there are many monuments to "Wolferl" in the city. Christian Doppler, an expert on acoustic theory, was born in Salzburg. He is most known for his discovery of the Doppler effect. Josef Mohr was born in Salzburg. Together with Franz Gruber, he composed and wrote the text for "Silent Night". As a priest in neighbouring Oberndorf he performed the song for the first time in 1818. Noted writer Stefan Zweig lived in Salzburg for about 15 years, until 1934. Writer Thomas Bernhard was raised in Salzburg and spent part of his life there. Herbert von Karajan was a notable musician and conductor. He was born in Salzburg and died in 1989 in neighbouring Anif. Anthropologist Udo Ludwig was born here. Klaus Ager, the distinguished contemporary composer and Mozarteum professor, was born in Salzburg on 10 May 1946. Alex Jesaulenko, Australian rules footballer and AFL Hall of Fame player with "Legend" status was born in Salzburg on 2 August 1945. Georg Trakl is one of the most important voices in German literature and he was also born in Salzburg. Theodor Herzl worked in the courts in Salzburg during the year after he earned his law degree in 1884. Salzburg Airport has scheduled flights to European cities such as Frankfurt, Vienna, London, Rotterdam, Amsterdam, Brussels, Düsseldorf, and Zürich, as well as Hamburg and Dublin. In addition to these, there are numerous charter flights. In the main city, there is the Salzburg trolleybus system and bus system with a total of more than 20 lines, and service every 10 minutes. Salzburg has an S-Bahn system with four Lines (S1, S2, S3, S11), trains depart from the main station every 30 minutes, and they are part of the ÖBB network. Suburb line number S1 reaches the world famous Silent Night chapel in Oberndorf in about 25 minutes. In the 1960s, the movie The Sound of Music used some locations in and around Salzburg and the state of Salzburg. The movie was based on the true story of Maria von Trapp who took up with an aristocratic family and fled the German Anschluss. Although the film is not particularly popular among Austrians, the town draws many visitors who wish to visit the filming locations, alone or on tours. The former SV Austria Salzburg reached the UEFA Cup final in 1994. On 6 April 2005 Red Bull bought the club and changed the name into FC Red Bull Salzburg. The home stadium of Red Bull Salzburg is the Wals Siezenheim Stadium in a suburb in the agglomeration of Salzburg and was one of the venues for the 2008 European Football Championship. Salzburg was a candidate city for the 2010 & 2014 Winter Olympics, but lost to Vancouver and Sochi respectively. ^ "Klimadaten von Österreich 1971 - 2000 - Salzburg-Flughafen". http://www.zamg.ac.at/fix/klima/oe71-00/klima2000/klimadaten_oesterreich_1971_frame1.htm. Retrieved 2010-06-14. ^ "Frederick William I, second king of Prussia (d. 1740)". Historyofwar.org. http://www.historyofwar.org/articles/people_frederickIprussia.html. Retrieved 2009-05-06. ^ "Dresden — Partner Cities". © 2008 Landeshauptstadt Dresden. http://www.dresden.de/en/02/11/c_03.php. Retrieved 2008-12-29. Salzburg Region Tourist Office – tourist board website. This page uses content from the English language Wikipedia. The original content was at Salzburg. The list of authors can be seen in the page history. As with this Familypedia wiki, the content of Wikipedia is available under the Creative Commons License.